The Zodiac Condo is a small 2 story complex in Daytona Beach Shores. 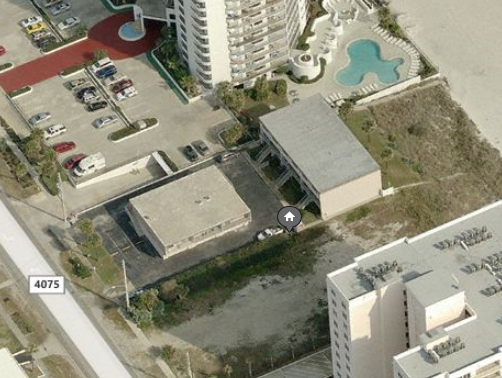 There are only 12 units between the two buildings with direct beach access. The oceanfront building has 9 units with an oceanfront living room and master bedroom. The second complex offers ocean and river views and is above the garages that are half private. Units have inside laundry and balconies as well. Pets and rentals are welcome with no restrictions.